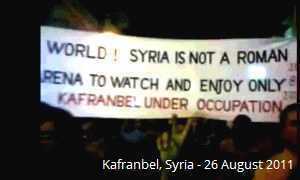 Campaign ideas are submitted by Avaaz's members in the first instance. But once an idea is settled on, it still has to pass a rigorous selection procedure. First, a tester email is sent to a random selection of 10,000 members in a particular country. Any "tester" that doesn't encourage at least 10% to open it is generally discarded. Test emails that pass this threshold then need to ensure around a 40% conversion rate. Here, they're testing the email's contents. If the email's going to fly, at least two in five of those who opened it need to go the extra mile: to click through to Avaaz's website. 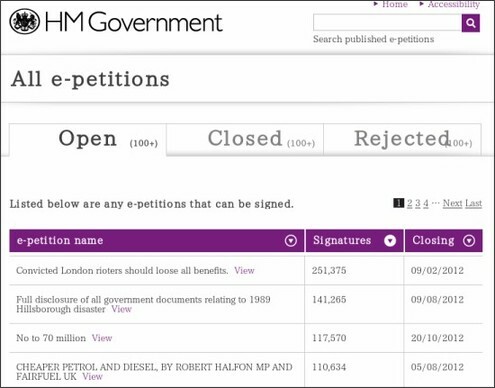 A campaign with promise will encourage more than 80% of those people to sign the petition. Emails that achieve this ratio – around 6% of the original audience – will then be rolled out to Avaaz's entire membership in the relevant country. The Avaaz Save Fukushima's Children petition was submitted to the office for submission to Prime Minister Noda: the Cabinet Office, Secretariat of the Minister). The official was Yoshihiro SANO in General Affairs Division at the Secretariat. Thanks to Aileen Mioko Smith, Executive Director of Green Action, who submitted the letter on behalf of AVAAZ. Update November 10, 2011: Today the Committee on compensation failed to protect Fukushima's children saying it was out of their jurisdiction. But the Prime Minister has the authority and our petition to him is exploding -- we will deliver the number of signers to him and to the media until he takes urgent action. Sign Now! 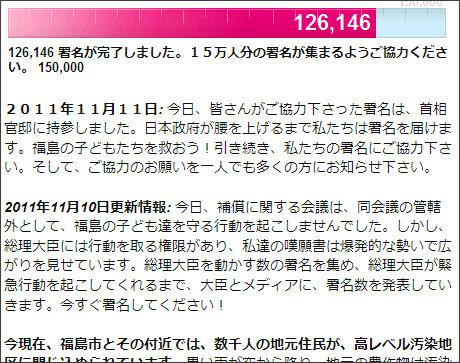 November 11, 2011: We delivered our message by hand to the PM's office -- and we will keep delivering this petition to PM Noda and to the media until the government takes action! 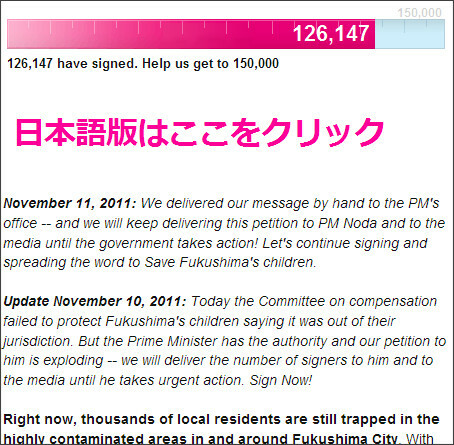 Let's continue signing and spreading the word to Save Fukushima's children.